It has come to my attention after an unannounced inspection of your shops this morning, despite the fact it is now 5 full days after Thanksgiving, many of you are not yet in compliance with the GYVCIOOTSN(P)* directive sent down from corporate. As a courtesy, you will be allowed an additional 48 hours to bring your shop up to code prior to the next round of visitations. Failure to do so may result in a fit and/or tears from one extremely disappointed shopper. Please make every effort to prevent this. With your cooperation, we can all have the very best vintage Christmas season ever. No holiday at your thrifts? Thats crazy! We have had it in all of ours down here in Springfield for at least the last month! Hopefully everyone "complies". 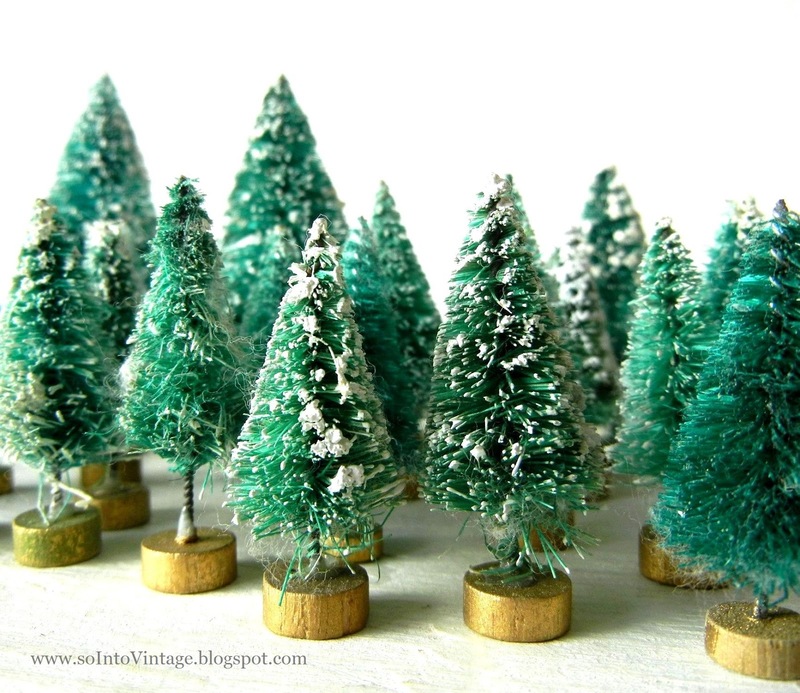 I have not seen much vintage Christmas out there this year, maybe I already bought it all??? 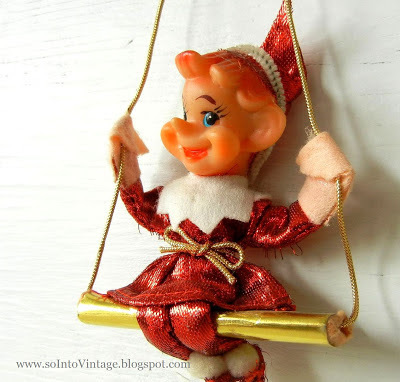 We don't have much of any vintage Christmas around here either. I think they break the law and sell it in July so it's all gone by November. I got a fix at my thrift today and found a few vintage Christmas pieces. Don't worry, it will come and your patience will surely be rewarded. I just love that pixie on the swing. So guessing your trip to the thrifts today was not what it should have been? What is the world coming to when there are no holiday decorations stuffing the shelf with December lurking only a few days away? My favorite (VOA) has their Chritmas out but nothing vintage. I always start to worry the sorters think it's just old junk and they are throwing it away. EEEEEK! I sooo agree! 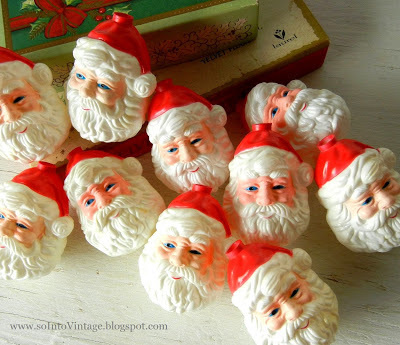 I am trying to make ornament wreaths that take 70+ ornies each and found 2 partial boxes at our local shops! Pitiful! Here, Here, Yes, put out the vintage!! I am in a shopping mood and there isn't enough on the shelves. I couldn't agree more. You have such a lovely vintage display. Wish you were closer to New Jersey. I'm glad you enjoyed my little vintage Christmas pillow I rescued from the thrift store. You have a good idea to donate old craft projects. That might make more room in my stash for more!! Hope they get with the program when you go back! I agree. 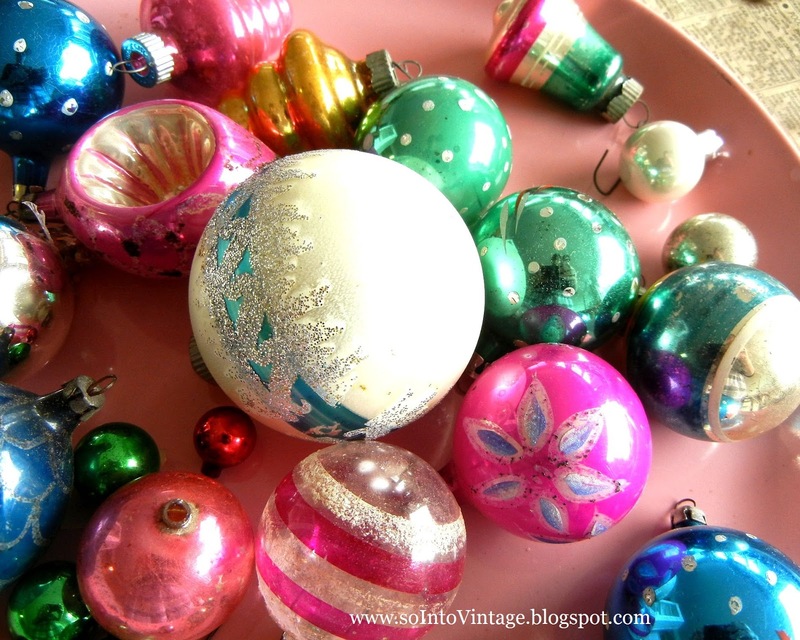 There is plenty of Christmas around but not of the vintage variety. You don't think it's all been used up do you?? Yup - not very much Christmas here either! Although, Value Village, like, always, ships it to once store in our city & it's got multiple aisles of Christmas. 4-5 this year, plus the year round shelf & some end caps. Very little vintage..
My local thrifts have been lacking too unless you want "made in China" charmless stuff from the 80s and 90s. I have a feeling the real vintage stuff is finally getting scarce. Where can i sign the GYVCIOOTSN(P) petition? So agreed! I'm going to a church flea market this Friday and hoping they haven't forgotten that Christmas is just around the corner! Yes, I agree! Went into one of my "antique" malls yesterday, the only vintage Christmas was there display pieces! Is there a petition I can sign? A Facebook page to like? Are you tweeting? I fear only a well organized, 50-state social media campaign can end this horror. It's a national disgrace. I'm with you on this, sister! My local thrifts need to heed your memo! 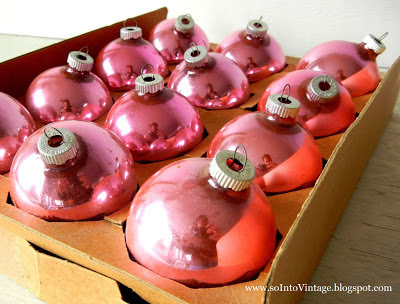 I have a theory that this weekend will be a big "donating all the crap people weeded out of their Christmas decor boxes" weekend at the thrifts, so maybe next week will be filled to the brim with vintage Christmas? I can only hope! Today's sled brought to you by the color aqua. Just another day at the office. And a winner! 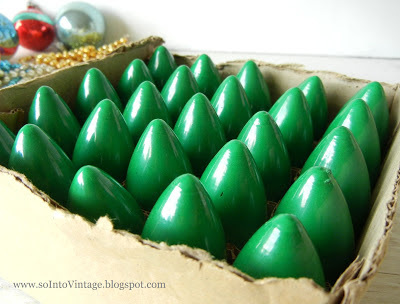 Jadeite enthusiasts, please stand up.